Traveler Ratings for Private Tour in Vancouver, British Columbia, Canada by Tour Guide Olga K.
Olga Rocks. Olga, although new to Tours by Locals, has been a tour guide for many years in Vancouver. She gave a driving and walking tour all over Vancouver to my wife, daughter and me visiting from Florida in July of 2018. She is outstanding. She speaks fluent English albeit with a slight Russian accent. 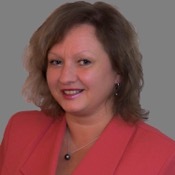 Olga is very knowledgeable, friendly and passionate about Vancouver. We have done many tours over the years and Olga's was one of the best. I recommend her highly. You will not be disappointed.